I’ve travelled a lot over the past year. I’m not a full time traveller. I don’t travel for business. I haven’t won the lottery, and I don’t have a rich family. I’m an average girl who loves to jet set as often as possible. For most of the year at home, I work a full time job, yet I’m able to incorporate plenty of travel into my lifestyle. You might be wondering how I afford to travel so much. How do I save for it, and how do I pay for it? Let me share all of my tips and tricks with you! Not surprisingly, one of the best things you can do to travel more is save money. This can be a lot more difficult than it sounds. We all end up having unexpected expenses, bills to pay, and those little things that add up to big expenditures. Over the past year, I’ve managed to travel for three weeks throughout Italy, spent a week cruising the Caribbean, traveled for five days to Florida, stayed at a resort for seven nights in Jamaica, and I’ve taken numerous overnight trips throughout Ontario and Quebec. On top of that, I’ve already planned to take a ten day volunteer trip to Kenya and explore Iceland for two weeks in 2016. Don’t worry, I’m not going into debt! Here are some ways that I make it all work. Though there are many people who live as digital nomads on the road, I work a full time job for most of the year at home. While this doesn’t allow me to travel nearly as often as those perpetual travellers, I prefer this type of lifestyle. Living in one place for most of the time lets me stay close to family and friends, be a mother to two cats, and we have our own lovely apartment. It also provides a stable life that I enjoy, which includes sleeping in my own bed. I enjoy the lifestyle of the part-time traveller. You may wonder how I am able to book so much time off work. While I work primarily full time hours, my job is technically considered a freelance job. The downside is that I don’t get paid vacation days or employee benefits…but the main upside is that I can book days or weeks off work whenever I want. Open up a separate savings account, just to save money for your vacations. You can decide to put a set amount of money in there every week or every time you get paid. I put $100 in there every two weeks. I barely notice this amount being deducted and it adds up fast. Soon enough, you’ll have thousands of dollars sitting there and you can splurge on the trip of your dreams. Whenever I use cash, I save all of my Toonies in a coin jar (for those who aren’t familiar, these are our $2 coins). Over time, I manage to save hundreds of dollars without even noticing it. This turns into my spending money for my next trip. While there are some things in life that you can’t live without, there might be other things that you don’t really need. Just ask yourself, “Would I rather be travelling than have this?”. One thing that I have eliminated from my life each month is my cable TV subscription. This saves us about $1800 per year, which is more than enough to fly us somewhere fabulous. Instead, we watch Netflix, shows online, or simply watch less TV. I also find that I don’t need to buy all of the latest gadgets or technology, unless it’s useful for blogging or travel. Another way that I save money is by not purchasing new clothes or shoes every month. While I enjoy dressing fashionably, I wear some of the same outfits for years until they become tattered or completely worn out. Going to the bar or pub every weekend will surely drain your savings account. I don’t really drink that often (I would much rather be drinking coffee than alcohol, but that’s a whole other matter…), so this one isn’t a big issue for me. I know some people that drink at the pub every weekend and they’re constantly broke. If you can’t give up drinking completely, it’s cheaper to buy alcohol at the store than at the bar. Also, a bottle of wine isn’t all that expensive if your tastes aren’t too refined. Getting your nails and hair done at the salon is expensive. I purposefully have my hair dyed ombré because it requires minimal maintenance and grows out naturally. I rarely get my nails done at salons either. Sometimes there are great sales to be found on group deal sites if you’re looking to treat yourself to a spa day. Outdoor adventures going treetop trekking. I need a car to get to work as there are no public transit options that would take me there. A few years ago, I bought a hybrid car for both environmental reasons and to offset the high costs of gas. I love my hybrid car. It has saved me so much money over the years, it’s been super reliable, and I was kept very safe once in a car accident. It’s also amazing for summer road trips – we save so much money taking my hybrid car on the road! Justin and I rent an apartment together. Renting just outside of Toronto isn’t the cheapest place in the world, but it’s way cheaper than owning a house. We don’t have any unexpected costs due to fixtures breaking down or things needing to be renovated. I have more free time because I don’t need to shovel snow or mow the lawn. And when we decide to travel for a few weeks, it’s very easy to pack up and go without any worries. Our apartment is decorated exactly as we like it, and I’m able to keep a small vegetable garden on the balcony in the summer. We don’t own that many belongings, and we don’t need any more space than we already have. If one of your dreams is to own a house, I think you should go for it. However, this is my ideal situation at this time. I always recommend renting apartments, whether it’s a vacation rental or from Airbnb. 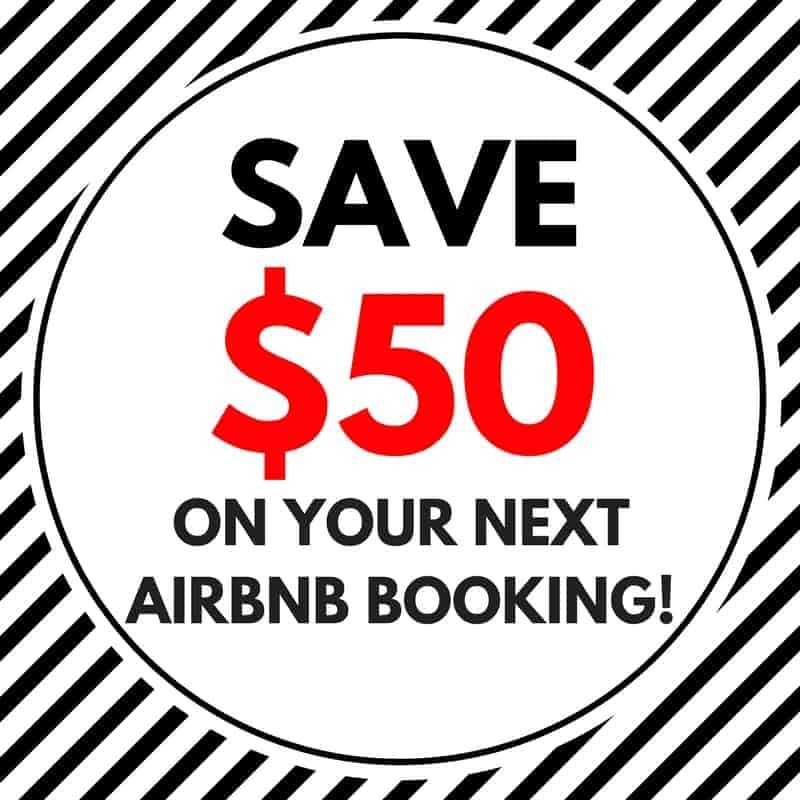 (If you decide to try out Airbnb, you can receive a $40 credit if you sign up here). We adored renting apartments throughout Italy. It’s often cheaper than a hotel, plus you get an entire place of your own that has its own character. Make sure you rent an apartment that has a kitchen so you can cook your own meals. Be sure that the apartment comes with free Wifi to cut down on any roaming charges or high cell phone bills. Choose an apartment that’s situated in a charming neighbourhood, so you can live like a local when you’re travelling abroad. When it comes to accommodations, some people swear by house-sitting or couchsurfing. I haven’t tried either, but some travellers have great success at both of these options. I started using the Capital One Aspire Travel World Elite MasterCard last year, and I can’t stop recommending it to all of my family and friends. Although this post is sponsored by them, I can honestly say it’s the best credit card that I’ve ever owned. I used to get so tired of Canadians not receiving the same advantages that our friends to the south could get from travel reward programs. I charge almost everything that I buy to this credit card. For every dollar I spend, I receive 2 reward miles. There are premium benefits, such as travel emergency medical insurance, trip cancellation insurance, and World Elite Mastercard concierge services. For new cardholders, you’ll receive a bonus of 40,000 miles, equivalent to $400 in travel once you spend $1000 on purchases within the first three months of signing up. The card has an annual fee, but it quickly pays for itself. In October, Capital One introduced some significant improvements to the program. For instance, there are no more redemption tiers. 100 reward miles equals $1 travel towards your next adventure. There are no minimum redemption requirements, and you can even use the points towards partial redemptions on a portion of a transaction. The travel points can be redeemed for almost anything involving travel (flights, hotels, a taxi ride to the airport, airline fees), gift cards, or even cash. 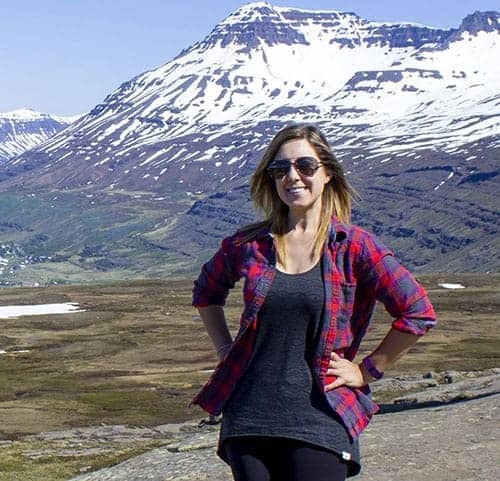 These points add up fast – I’ve already saved up more than enough miles to pay for our return flights to Iceland! Redeeming miles is a very easy process. Purchase your travel, log into your Capital One account, and click the redeem button for the full or partial amount of the charge. Then, your account will be credited accordingly. Easy peasy. I’ve signed up to so many travel reward programs over the years, and usually these points sit in my account for such a long time and I’m never able to redeem them for anything worthwhile. With this credit card, I’m able to easily redeem points for travel all the time. Soon enough, you’ll be on your way to beautiful Burano. Once you reach your destination, there are plenty of free or cheap activities to try that are just as fun as the more expensive ones. One of my favourite things to do when I travel somewhere is simply walk around, snap photos, and take in the sights. There are also many free city walking tours that you can easily find by doing a little bit of research ahead of time. Another cheap or free activity is to explore a city by bicycle. We once stayed at a hotel that offered free bicycles for guests to use. Justin and I also rented bikes while we were in Lucca for only a couple of Euros, and we were able to ride through town and the park that surrounded the city walls. Many outdoor activities are low cost or free, such as hiking, swimming, sunbathing on the beach, watching the sunset, or snorkeling if you have your own gear. Some museums are free or have an evening where they let guests in for free. And many cities have outdoor festivals that are free to attend. There are also social networking sites like Meetup where you can attend themed events and meet like-minded locals for free. Riding bicycles in Lucca was so much fun! I always use Skyscanner to find the lowest rates for flights. This site searches through hundreds of flight websites and finds the best deals. It’s easy to spot which days are cheaper to fly, and I’m able to plan accordingly. In addition, I always make sure to check the airline website. Sometimes the cheapest deal can be found on the airline website, especially if there’s a seat sale. Wynwood Walls in Miami is a free outdoor art exhibit. When I’m not able to travel for extended amounts of time, there’s always something new to explore close to home. At home in Ontario, there are always different activities and places that I’ve never visited before. When Justin and I first started dating, we would often spend the day in a neighbourhood in Toronto that we’d both never explored before. This past year, we were in awe of a frozen Niagara Falls during the winter, went kayaking in the 1000 Islands, tried stand up paddleboarding for the first time, had a treetop trekking adventure in Collingwood, and stayed overnight in a glamping tent. Those adventures weren’t far from home, and they were all exciting and memorable experiences. This beauty is a quick trip down the highway for us. This might seem like a huge contradiction to this article, but hear me out. It’s one thing to cut back in order to save for travel, but don’t deprive yourself of other things that you really enjoy. I think it’s important to strike a balance in life. While I love to travel, I also love other things, too. I enjoy spending time with friends and family, so it’s really fun to go out for dinner with them. We also stay in sometimes and play board games or have pot luck dinners, though it’s really enjoyable to have a quality meal at a great restaurant. And of course, I love reviewing restaurants on the blog for all of the yummy vegan food that I find! I try to cook my own meals when I’m home, but sometimes it can be very time consuming on days that I work. I try to prepare meals that can serve as leftovers while I’m working. When I’m not able to cook, I’ll buy healthy meals from a local grocery store’s salad bar or a tofu noodle dish from a fast food place. Even though I love cooking, sometimes I’m not able to find the time and I try not to beat myself up about that. On this note, going vegan is significantly cheaper than consuming an omnivorous diet. The more expensive items at the grocery store tend to be meat and cheese, while dry beans, rice, potatoes, pasta, and vegetables tend to be cheaper. I tend to spend more money on groceries than the average vegan because I prefer to buy organic, local, and non-GMO products. I prefer to pay a little bit more for a quality product that’s better for me, better for the local economy, and doesn’t cause harm to the planet. I’m also a self-proclaimed coffee addict. When I’m at home, I brew my own coffee. However, when I’m at work or out for the day, I’ll buy coffee at a local cafe. It really does help my day at work pass more quickly, plus I’m in a much better mood if I’ve had my coffee. I don’t always spend more money on the premium lattes and cappuccinos, but I do sometimes. I will treat myself to one of these drinks from time to time. And you should, too! With that said, even cutting back a little bit can help, like buying a regular coffee instead of a fancy latte. If you stop buying coffee completely while you’re out, I bet you will save a ton of money. And you have way more willpower than me, so I admire you for it. The bottom line: if I absolutely love something or really want to buy it, I will. If I’m on the fence or I’d rather be using that money for travel, I won’t buy it. Now that I’ve shared my tips with you, how do you afford to travel? What’s the best tip or trick that you have to share? Do you enjoy a particular activity that’s low cost or free? Do you enjoy saving money as you travel, or do you cut back on things in your daily life to save up for that special vacation? Let’s discuss our favourite ways to save in the comments section below! Lauren, this was a great post. Wish I had been more strategic when I was younger! You’re doing all the smart things to allow you to travel. Well done! Your commitment to your website is obvious. I am so impressed with the amount of content that you are producing. Keep up the great work! Love how practical your tips are, Lauren! Like Antonina, I’m also thinking of opening up a separate savings account for travel funds. Great tips hon! Especially love the tip about eating vegan. Obviously I have other reasons for wanting everybody to give up meat and animal products – but the truth is that it is cheaper. Even if you end up eating heaps more than when you ate meat or animal products, it’s still cheaper. Like you, I save 2 euro coins and limit my spending, plus I have a teaching job that keeps me grounded and prefer that. But as a homeowner in Spain, I pay in mortgage and bills what a friend pays in rent in the city center! Thankfully Spaniards have a thing with owning homes, so I jumped on the bandwagon. It limited my travel for a year, but I think it will save me loads in the long run as I continue to work and take advantage of school holidays to travel. There are some great tips in here Lauren! Another tip I would give to anyone who wants to travel but thinks they can’t afford it is to travel to a country with a low cost of living. So many people would be amazed to find that, in places like India or Southeast Asia, life on the road is actually much cheaper than daily life at home, even when you add up all the food, accommodation, transport, sightseeing, etc. I love this! I have the US equivalent of the Capital One Card…the Venture with 2 for 1 points. I haven’t redeemed them yet, but they’re adding up. I use it like I do my debit card and transfer money from my checking account to keep it at a zero balance most of the time. Thanks for a great post! Shared via twitter. Have a great day! Love this post! People ask me the same question all the time, and I always tell them TRAVEL SAVINGS ACCOUNT. Its barely noticeable to put away something in a separate account every pay, and always ends up being enough in there to fund my travel addiction! Amazing post and very relevant to myself. I like drinking and yes that is something I’m cutting back on…especially at the bars. I try to buy at stores or go to happy hours. Some great tips there, some which I currently practice and some I need to work on. Great tips…and a couple that I would add is to go somewhere not touristy…We may fly into Cancun, but we don’t stay at a glamourous all-inclusive; we hop on the ferry and stay at a little apartment on Isla Mujeres – off to the grocery store and you are good to go! And since I am one (! ), I would also recommend a good travel agent – one that listens to what you want to do and what your budget is. Some are free to use. so let them do the research, find the deals, work out train/bus/ferry schedules – after all your time is valuable..and if you are doing something to make money instead of spending hours on the internet looking for a seat sale..then you just saved yourself some money! Great article. And love the tip about staycations- sometimes we forget to explore our own backyard! Learning to save to make the trips to Bali has been an adventure, and saving any little bit really does help. These are very good tips for saving to travel.I used to spend countless dollars in the local bars,and pubs just like you said,on the weekends,and wouldn’t have any money saved whatsoever.I am glad to say that I quit drinking for over a year now,and feel alot better in the process.I am a coffee aficionado,and tend to meet almost every day downtown with friends at a coffee house.Recently I started buying the coffee from that same shop,and started brewing the very same blend of coffee that I liked so much down there,at home,and saved quite a bit of money that way.Being from Canada,I still find myself the odd time hitting up Tim Hortons drive thru,lol! As for free activities on a vacation,I would go biking,and hiking in the mountains,or would walk around.I would also research the local areas,and find things to do,like visit historical landmarks,take photos,and even go for drives to nearby towns,or villages. I also have been on vacation solo,and found advantages in that,because I could plan the things only I would want to do,the time of day I would do it,and not have to cater to other people,like I did in the past.On one of my trips,I flew to Pearson airport,rented a car,drove to Pittsburgh,found a reasonable hotel,went to a habs/pens playoff game,got to watch my penguins win the last game ever at the igloo,before they tore it down,,so I got to witness history in the making.On the way back I got to stay at a friends for free in St.Catherine’s,then visited Niagara Falls the following day.The reason I didn’t fly from Saskatchewan to Pittsburgh direct,was because it was over triple the cost almost to do it that way,plus I got to drive through some very beautiful countryside along the way. Great tips! It is so inpiring to see you have dveloped a lifestyle which does not compromise too much to enable you to live happily. I really believe that a balance is key. Having a job that naturally requires travel is also one great way! I’m a consultant and that requires up to 100% travel! It’s a very competitive industry that requires impressive credentials and tons of working hours but it’s worth it if you’re young and not tied down by much. I’ve used my job to score points on hotels and flights for my vacations abroad and talk about my travels/adventures on my blog, The Trekking Cat. It’s amazing how much travel reward cards can help fund travel! I’ve had the Capital One Venture One card for a couple of years now and it has saved me a lot on flights. I recently just received the one you mentioned in this post that has the annual fee as well and cant wait to get the free 40k points that I can use towards travel! These are some nice practical tips. For anyone reading this who dreams of travel, if you put this advice into practice, someday you’ll get there. This article is very informative. I love to travel and see myself doing some of the things you do. We cancelled our cable also, it just got too expensive. We have Roku, and it works perfectly for us. I rather cook than eating out, that saves us lots of money also. We also travel in a group of 4. It’s the same group of friends, we travel well together, split the bill 4 ways and save money. We also love staying at apartments rather than hotels and try to cook there. We love going to local markets and picking fresh veggies for dinner. We are currently planning a trip to Iceland. We already booked our apartment from Airbnb, rented a car and checked out all the free things we can do. Good luck with your future travels! An excellent idea to cut out motel costs is to check out House Sitting websites. Your only expense will be buying food to cook for yourself. Because you are house sitting you obviously cannot go on long trips from where you are staying, but choose a city with a lot of things to do. Thank you for putting this out there for all the people working to make travel a part of the rest of our lives! How do you locate apartments for rent in foreign countries? All great suggestions! I already abide by most. By biggest problem is finding a full time job with flexibility. May I ask what you do that you are able to freelance and make your own schedule? Do you know of other jobs that do the same? Perhaps an entire blog article could be made with such information! I know it would help me out as it is my biggest problem. I am willing and wanting to change my entire career so that I can accommodate travel more often! Great Ideas on how to save in order to travel. I live in a tropical country so I plant my veggies at home. I also conserve on electricity so that my utility bill is cheaper . Thanks for the helpful tips! I love to read other people’s blogs to enjoy everyone’s different takes on travel. I just signed up for the Chase Sapphire Reserve Card, and I can’t wait to get the 100,000 miles that comes with it. I’m 65 now, just retired, and I’m about to embark on my journeys without my wife who is still working. I love doing research on destinations and prices. For example I priced out a trip from Denver to Marrakesh, Morocco with stops in Dublin and London for about $900 USD. It took time and I’m flying on four different airlines, but I’m saving almost $700 by booking it that way. I would do it differently if my wife were with me, but I don’t mind staying in cheap (but safe) hotels so I can use the money I save to do other things I really want to do. I use Booking.com to find hotels that have free cancellation options in case travel plans change. I travel solo with just a carry-on backpack to save on baggage fees. One thing that saves me a lot of money is to use public transit instead of taking the tour buses in most cities. For example, there is a bus route than runs almost the entire length of Manhattan for the price of a MetroCard. And the Staten Island Ferry is another cheap way to see the Statue of Liberty and the spectacular Lower Manhattan skyline for a couple of bucks. People ask me all the time if I’ve won the lottery because we’re always going someplace fantastic. We want to go everywhere and see everything, so sometimes our destinations are chosen by getting a fantastic deal. Knowing prices ahead of time allows me to jump on a bargain as soon as I see it. And check out different airports. We live near Detroit but flying out of Toronto saved us $500 per person on a 10 day trip to Ireland. ( $800 with a Groupon). Our Cost, half a tank of gas and we were able to explore Toronto for a day. China zoomed to the top of our list when I saw a trip for just $799 for 10 days. Love traveling!! Love this post! People always ask me how we can afford to travel with my kids, and the first answer is always Separate Savings Account! With that said, I haven’t tried the Capital One strategy, but it is certainly on my list of things to try now :) Thanks! These are great tops! I travel for work but have never used Skyscanner before. Since I work for a non-profit, I’m always looking for ways to save money for our organization. While I do many of these things already for personal travel, this is a great reminder for me. It’s easy to take the opportunities I have for granted and forget about the big picture in the day-to-day. Very nice and opportune article. For me the Mystery is solved. To, ‘Let out’, I did envy Lauren Elizabeth, the copiously moneyed lady. Now, I have a fond fellow feeling. However, the blame goes to your HR, Colourful, Picture Compositions. Really excellent photos. You enthuse me to travel, glimpse the world and the various facets of life and save the experiences in my heart, although, it is rather late for all that. Keep providing me the, ‘At home’, option and God bless you both. To save money on trips I have 2 words: Doner Kebabs. I plan on dinner being a Doner kebab at least once a week. While at home our weekly restaurant meal is at a trivia contest which features a great $5 hamburger. We have a favorite Thai place and a BarBQ we go to on occcasion. The only time we get fancy is when we are visiting in DC. Neither my wife nor myself are big drinkers at home or abroad. If you are tight for funds look to destinations that don’t gouge tourists. Last year was Bulgaria and Poland. In my journal I often recorded the price of meals- very reasonable. By the way, when we were in Lucca our hotel had free bikes available- we rode them mostly on top of the walls circling the city. I love the article. Its something that I do; save and travel in a stiff budget. But sometimes it gets really tough to pile up money for travel; like my savings got used up in a recent medical emergency my partner had. So I started looking for more reasonable ways to travel and came across this concept called work for accommodation, on Hippohelp. It seems to be fascinating. Do you happen to know about it? This article is so spot on and entirely relevant! These are the perfect lifestyle and mindset tweaks to make traveling more a reality. At the end of the day, I think the biggest difference is priority — if traveling more is your priority, all those other things (like buying a big house or eating out all the time) become less appealing. When my partner and I decided to start traveling full time, we put all our efforts (and money) toward doing just that. At first, it meant doing things like you said — even avoiding pricey salons…I’m now our in-house hair cutter :P Then, we focused on creating jobs that would let us continue traveling, even after we’d saved all the money we could. Thanks for publishing such a thoughtful article on this. I love how real and practical it is!